If a prisoner talks to his lawyer in person, at the prison, the prosecutor typically can't eavesdrop. If he writes his lawyer a letter, the same protections apply. If they talk on the phone, again, the prosecutor is supposed to back off. But if the prisoner sends an email to his attorney, the federal prosecutors in Brooklyn are going to read it, and possibly use it against him. Why? Brooklyn blames budget cuts. Prosecutors told the Times that at one point, they had a "filter team" to weed out attorney-client emails, but thanks to cutbacks, they're not only leaving them in the pile, but they're using them in court. 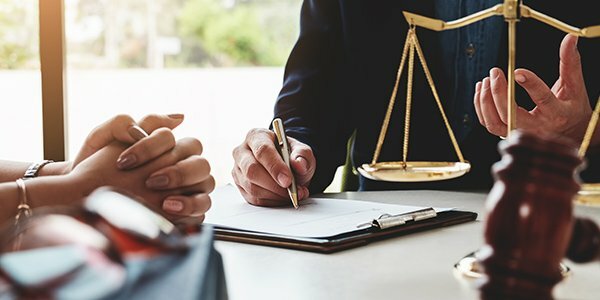 Their response to anyone who is concerned with protecting the attorney-client relationship is simple: Use other means of communications. Here's an obvious point: Even if you can't afford a "filter team," that doesn't justify using the actual emails in court -- that's one hell of a leap. As for using other means of communication, the problem is, email is often the only pragmatic approach. How much time does it take to arrange a visit to the prison, meet with a client, and to drive back to the office? When you're being paid by the government to represent an indigent defendant, spending taxpayers' money wisely is key: judges, courts, and public defenders' budgets aren't limitless. An example cited by the Times is Dr. Syed Imran Ahmed, a man accused of Medicare fraud. His attorneys have to review 50,000 pages of medical documents, many of which have to be explained by Dr. Ahmed to his counsel. His court-appointed attorney is paid $125 per hour by taxpayers. A trip to jail, including travel time, waiting for security, etc., takes five hours. Attempts to set up a phone call were reportedly ignored by prison staff. Email has proved to be the only possible means of working on the case. Though it seems natural to us that email, like postal mail and phone calls, would be privileged, not every court agrees. In 2012, an Atlanta-based U.S. District Court judge held that under the terms of service for the correctional system's email system, the defendant "consented to the monitoring and thus had no reasonable expectation of privacy." Privilege doesn't apply. In Brooklyn, two judges have come to opposite conclusions, reports the Times: In Mr. DiFiore's case, the judge ruled that prosecutors were well within their rights to review the emails. But in Dr. Ahmed's case, the judge barred the government "from looking at any of the attorney-client emails, period."